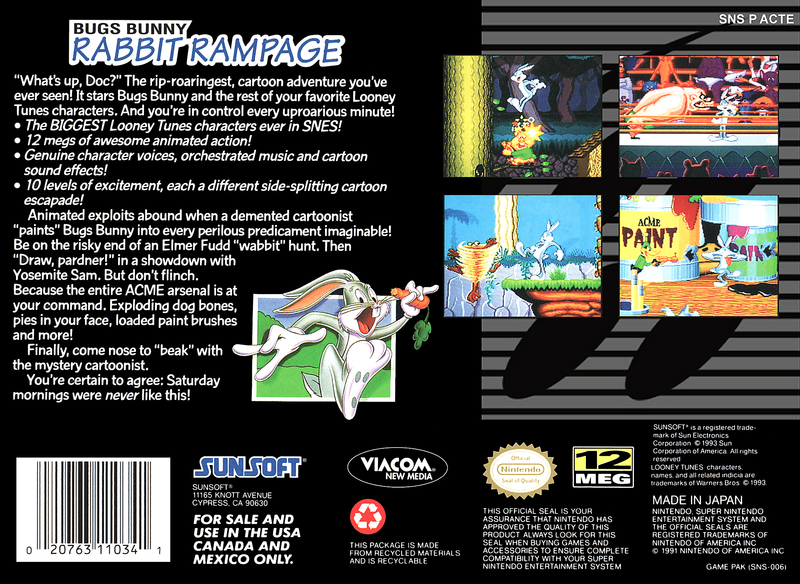 Краткое описание: Bugs Bunny Rabbit Rampage is a side-scrolling platform game. 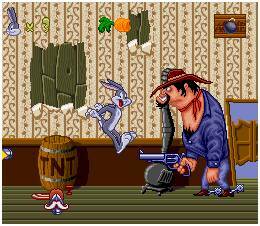 The player, controlling Bugs Bunny, is able to jump (and squash), high-kick, throw cream pies and use ACME weapons. These weapons are scattered all over the landscape and include such cartoon favorites as bone-shaped dynamite sticks, anvils to drop on heads, Shrink Rays, portable holes and many more. 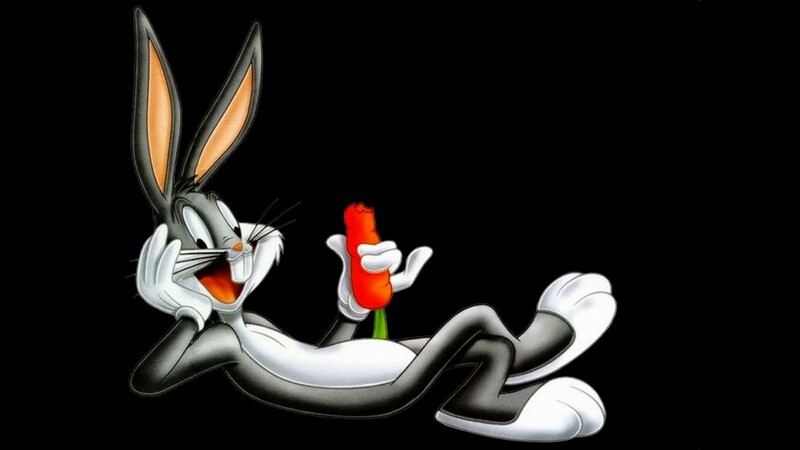 Players will encounter a variety of familiar Looney Tunes characters as enemies and level bosses. At the end of each level (10 in all). players are given a rating based on their gameplay style, which includes how many of these ACME weapons they were willing to use. 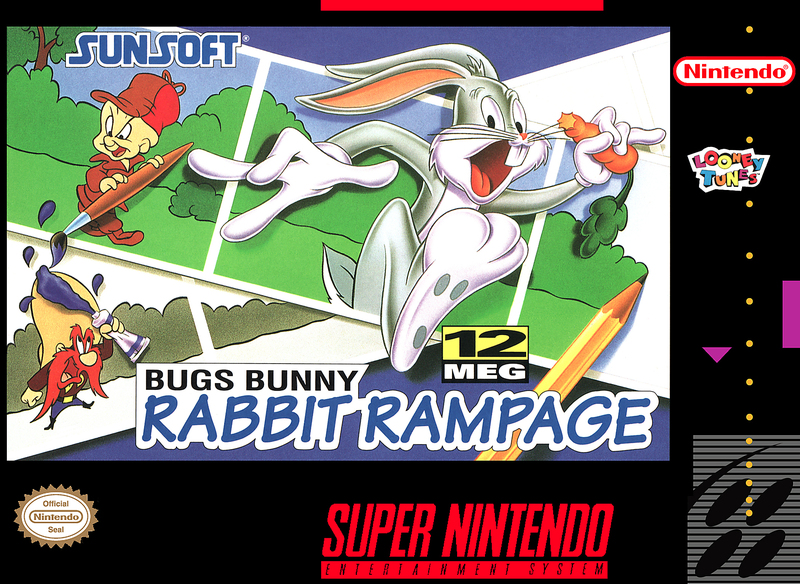 Bugs Bunny Rabbit Rampage is a side-scrolling platform game. 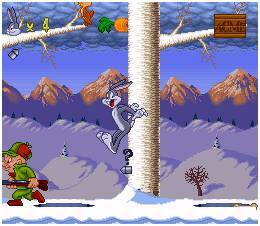 The player, controlling Bugs Bunny, is able to jump (and squash), high-kick, throw cream pies and use ACME weapons. These weapons are scattered all over the landscape and include such cartoon favorites as bone-shaped dynamite sticks, anvils to drop on heads, Shrink Rays, portable holes and many more. 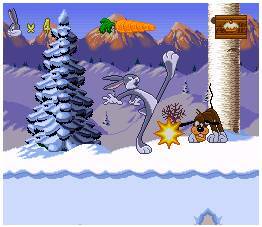 Players will encounter a variety of familiar Looney Tunes characters as enemies and level bosses. At the end of each level (10 in all). 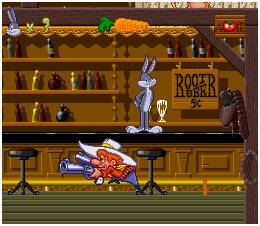 players are given a rating based on their gameplay style, which includes how many of these ACME weapons they were willing to use.